It’s a known fact that online streaming sites come and go. Despite this, some sites seem to be immune to copyright claims, domain name takedowns, and DDoS attacks, greatly exceeding the lifespan of the average online streaming site. For a long time, one such site was PrimeWire. Unfortunately, PrimeWire closed its gates after a hostile takeover, which resulted in all content being replaced with malicious ads. Today, PrimeWire is no longer accessible through its original domain name. The good news is that there are still many other excellent online streaming sites where you can enjoy the latest movies and TV shows without paying. PrimeWire started more than five years ago as LetMeWatchThis. It later changed its domain name to 1Channel, before eventually becoming PrimeWire. The site quickly developed a sizable following among online streaming enthusiasts, largely thanks to its well-thought-out design and a great selection of content. In April 2018, PrimeWire’s DNS records were updated to EuroDNS, an ICANN-accredited domain name registrar and DNS service provider headquartered in Luxembourg. This caused the site to become unreachable for a few days. When PrimeWire finally returned, it was worse than anyone had expected. All content was replaced by malicious advertisements pointing users to dubious services such as Pushplay, which ask for credit card details and are obviously just scams created to steal money from unsuspecting victims. Even devoted long-time users of PrimeWire eventually realized that the site was basically gone. Maybe you’re one of them, and you’re still looking for the perfect alternative to PrimeWire. To help you find it, we’ve prepared a list of the top 7 best alternatives to PrimeWire in 2019, but there’s one last thing we want to address before we get to them. When it comes to online streaming sites that have been around for much longer than most people expected, PutLocker is among the first that come to mind. This venerable online streaming site may look slightly outdated, but we believe that its conservative design only adds to its charm. After all, the content is what matters the most, and PutLocker has more than enough content to satisfy even the most demanding online streaming enthusiasts. In addition to the latest movies and TV shows, you can use PutLocker to watch Asian dramas, Japanese cartoons, and classics from the golden age of cinema. SolarMovie sports a very modern design with a ton of handy features that make it very easy to use and very hard to live without. For starters, SolarMovie shows an IMDb rating for each movie and TV show, so you can see at a glance which thumbnails are worth clicking on and which you can probably skip. SolarMovie isn’t picky about the video quality of its content, so you can find CAM releases right next to high-quality Blu-ray rips. What’s important is that SolarMovie is always upfront about everything, so there are no unpleasant surprises when it comes to the quality of the content you want to watch. 123Movie has become very popular in recent years, following the shutdown of several major online streaming sites, including PrimeWire. What 123Movie brings to the table are its modern design, wide selection of content, excellent media player with support for keyboard shortcuts, and multiple mirrors to choose from. 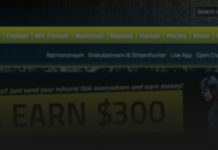 The people behind 123Movie know that ads can be pain, but they want their users to understand that ads are the only way how they can keep the site afloat without succumbing to such questionable practices as cryptojacking. 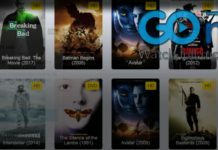 Popcornflix categorizes its content into many different categories, including new arrivals, most popular, Popcornflix originals, action, comedy, drama, horror, family, thriller, sci-fi, romance, mystery, western, old-school cool, documentaries, stand-up comedy, Asian action, bro movies, and foreign firms. Perhaps the most interesting feature of this online streaming site is its media player, which lets you easily create GIFs, leave time-stamped comments, and share your favorite movies and TV shows with friends. Niter is a young online streaming site that is quickly growing in popularity. All you have to do to watch a movie or TV show on Niter is click on a poster and press the play button. We appreciate that Niter uses a dark background color, which makes it easier on the eyes at night. Users are allowed to leave comments on the site, but Niter’s community doesn’t seem to be very active at the moment. We expect this to change as the site becomes more popular. Rainierland is one of the best alternatives to PrimeWire because it offers a great selection of movies and TV shows and doesn’t require you to create a user account before you can click on the play button. The site has a simple layout that just works. We guarantee that you won’t find yourself searching for the play button or wondering how you can search for a particular movie. Of course, no online streaming site is perfect, and even Rainierland has a few downsides. Perhaps the biggest one is the fact that the site uses very aggressive ads, so you should visit it only with a capable adblocker. You’ve probably never heard of 123PandaMovie, and you’re not alone. This up-and-coming online streaming site hasn’t been around for too long, and it still has to make a name for itself. But considering how much it already offers, we predict that it won’t take too long before 123PandaMovie becomes a widely recognized name in the online streaming community. Internet service providers don’t like when their customers use online streaming sites. They are under pressure from copyright watchdogs, government agencies, and large media-services providers to restrict access to online streaming sites that host copyrighted content. Depending on your internet service provider, you might not be able to access some of the sites listed below without a VPN service that lets you create an encrypted tunnel to protect your traffic from snooping, interference, and censorship. One VPN service that has become especially popular among online streaming enthusiasts is NordVPN. Launched in 2012, NordVPN is a trusted VPN service provider based in a country with no mandatory data retention laws, Panama. It’s very easy to get started with NordVPN, and the service costs just a couple of dollars per month—your privacy is worth much more than that. PrimeWire has suffered the fate of many other online streaming sites, but online streaming continues to live on without it. 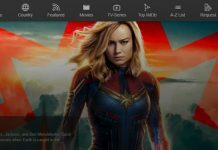 In this article, we’ve listed the top 7 best alternatives to PrimeWire that you can use to watch movies and TV shows for free in 2019 and, hopefully, beyond. You might not be able to access all of them without a VPN service like NordVPN, but that’s not the only reason why you should use one.